The story behind the safe-ish hang swinging shot on the sweet granite finger is worth mentioning. I'd seen a photo Tim Kemple (awesome action sport photographer) posted on instagram years back and was immediately determined to find the "finger." A year or so ago, we were in Joshua Tree and hiked out to the rock, I climbed it, got scared, and couldn't fathom hanging from the exposed side. Flash forward a year-ish, sent the thing, cruised into the exposed position and just had a blast. Its good to have these tangible reminders of progress sometimes. 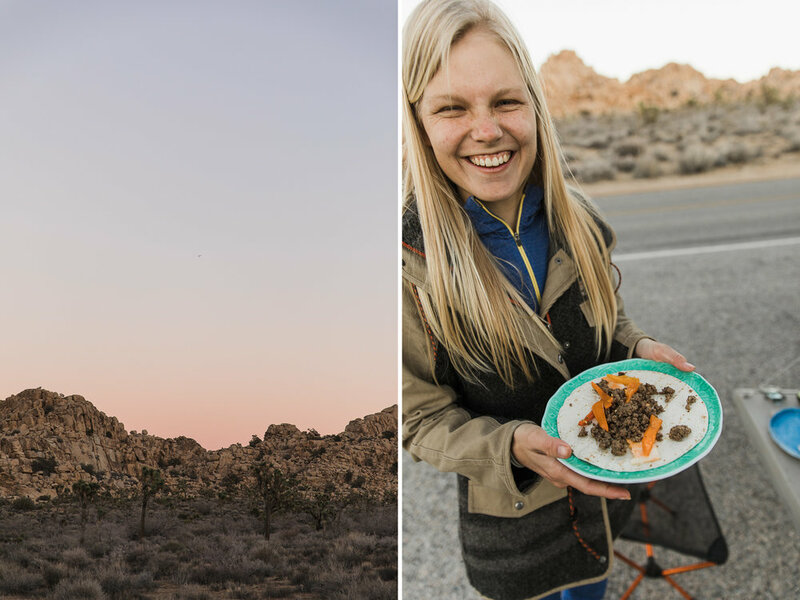 Even getting to cook somewhat fresh food on a real-ish stove is an indicator of our evolution as nomads. Huge shoutsouts due to Taylor Bartram (awesome photographer - check her out!) 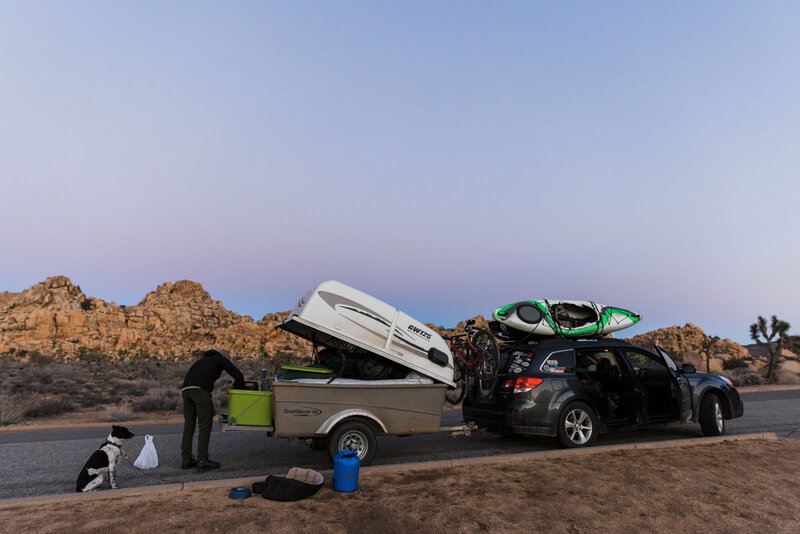 for hanging out with our silly crew, taking photos with us, climbing a heinous chimney crack, and facing the cold in some borrowed gear from our Subaru junkshow because we stayed in the park till dark.